Wanted to see as many 2016 films as possible, especially those that won or were nominated for the big awards. Took me a while to see 'Moonlight', with the controversy it garnered when it was announced for the Best Picture Oscar and the amount of hate it's got here part of me was wary. Finally getting round to seeing 'Moonlight', it turned out that it was more than well worth the while and that the wariness was not needed. 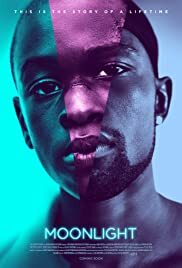 'Moonlight' is not a perfect film and may not have been my personal pick for the Best Picture award (for me that was 'La La Land' though that is not a popular opinion it seems). Truly admired what it set out to do and found it a brave and powerful film, despite what the detractors say there is far more to 'Moonlight's' appeal than politics, sexuality and race (clearly trying to find conspiracy theories and reasons for why a film they dislike is loved by others, without taking into account that the film simply just connected to and resonated with those who liked it). 'Moonlight' does end on an anti-climactic note, some of the last act is a bit rushed. A longer length would have helped as a result, it also would have helped make a couple of events in the first act a little clearer and not so choppy. It may not say much new, despite the ground-breaking concept on paper with the exploration of lives rarely seen on film, and doesn't always have subtlety. Then again it is tackling far from subtle themes and a heavy subject, so that sort of was going to be inevitable. However, 'Moonlight' is an exceptionally well made film. The cinematography and editing are some of the most eye-pleasing and best of that year, and can't find anything to fault the expertly handled direction. The music is cleverly mixed and has haunting power and fluidity. Regarding the writing, it is not perfect, at times as said a little heavy-handed and vague in parts, but it is thought-provoking and handles very ambitious, relevant, important themes with power, truth and (mostly) delicacy. The story makes the most of the three act structure, it's handled simply but not simplistically and also handled cleverly and with passion, honesty and intelligence. Found myself relating quite a lot to and being moved significantly by the story and found the film handled a heavy and sensitive subject matter with a lot of relevance and importance today more than admirably. Can't fault the acting, doing wonders with compellingly real characters and strongly defined character relationships (especially the central one). Much has been made of Maharshala Ali and Naomie Harris and deservedly with two of the best performances that year, Ali especially is extraordinary. 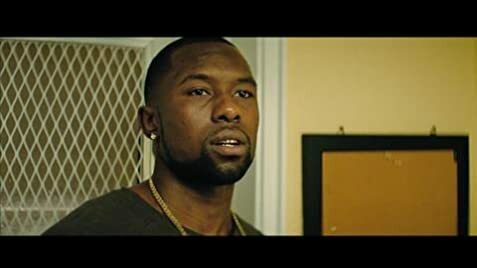 It is easy though to overlook Alex R. Hibbert, Trevante Rhodes and Ashton Sanders and one shouldn't, as they are just as worthy (particularly Sanders).